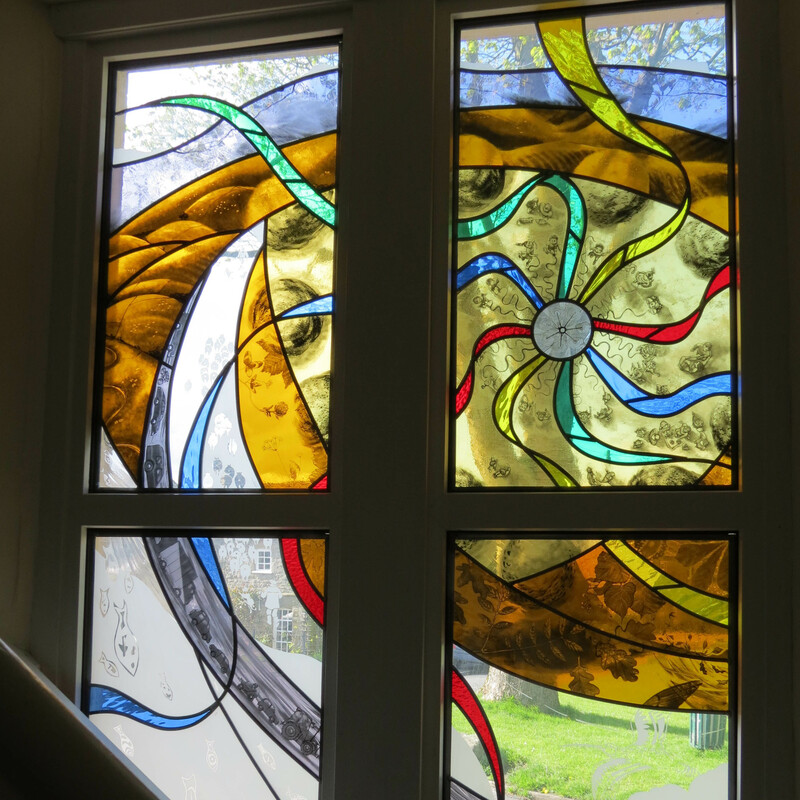 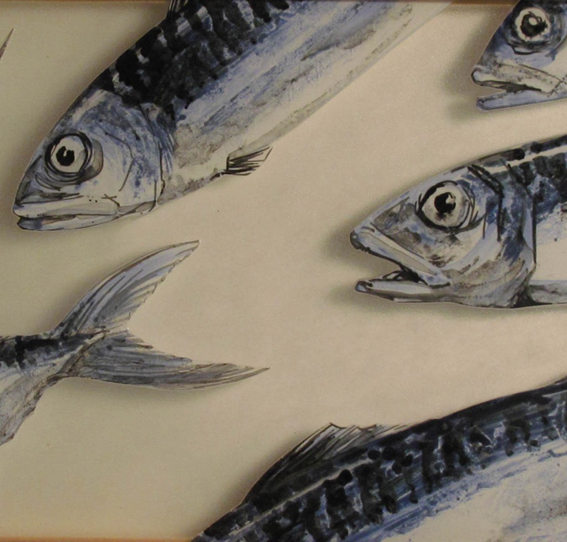 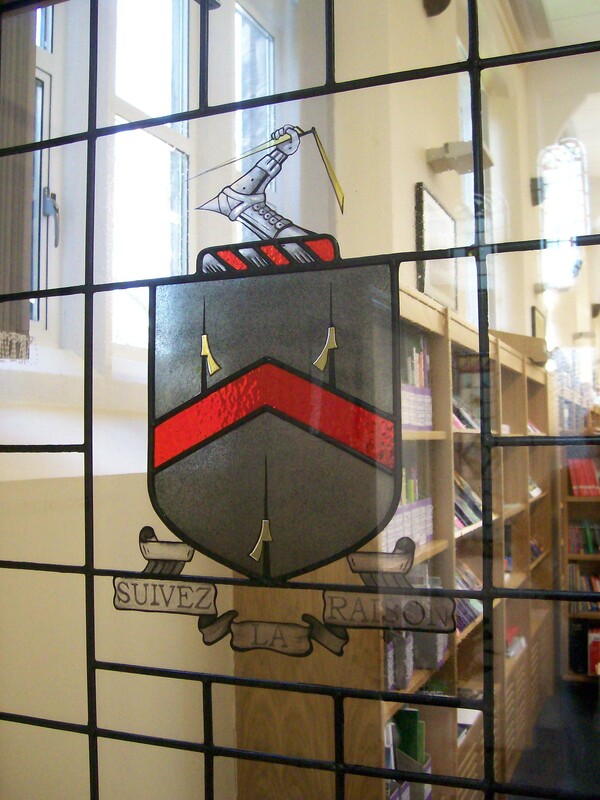 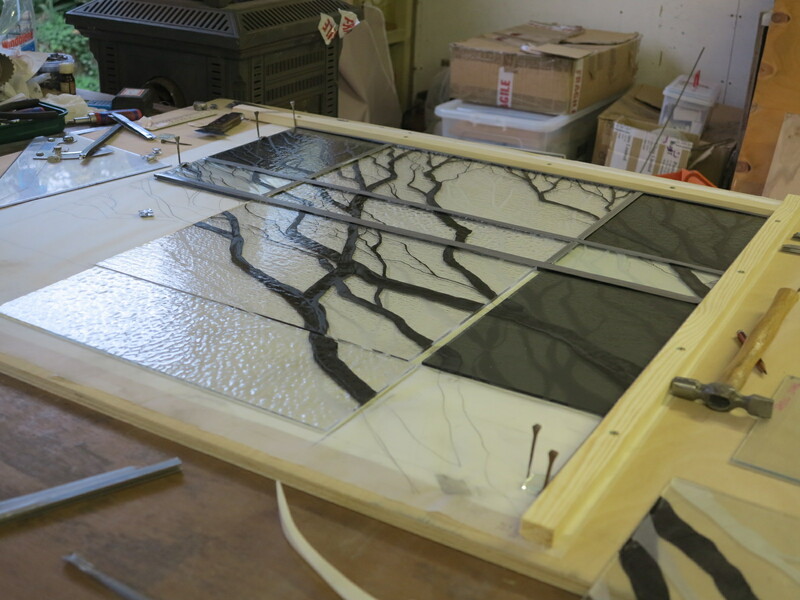 Commissions have included school door and foyer windows; health centre atrium glass artwork and screen walling; doctor’s surgery; internal and external windows to village halls; domestic front doors, door lights and internal windows. 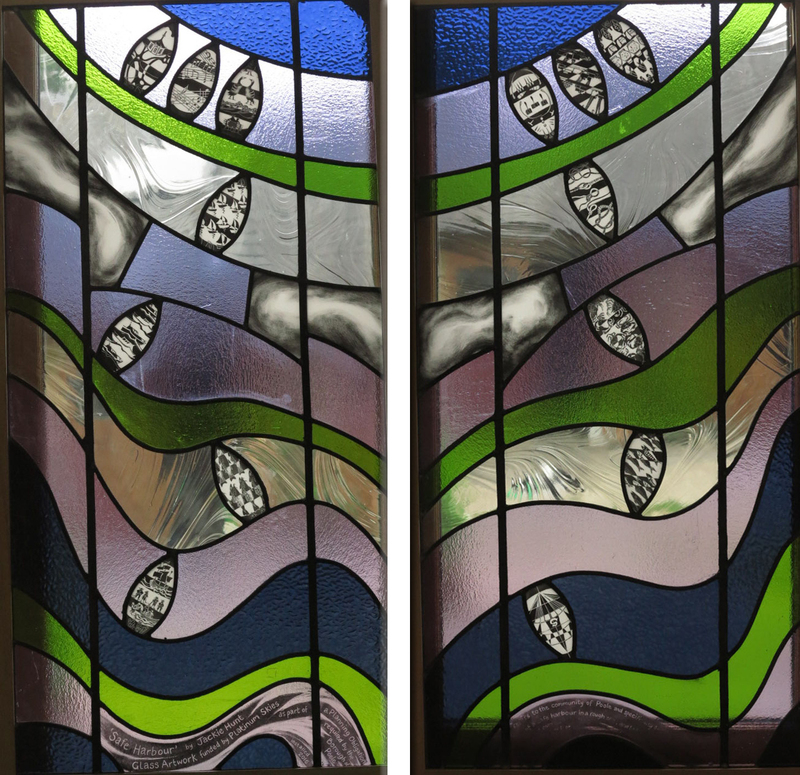 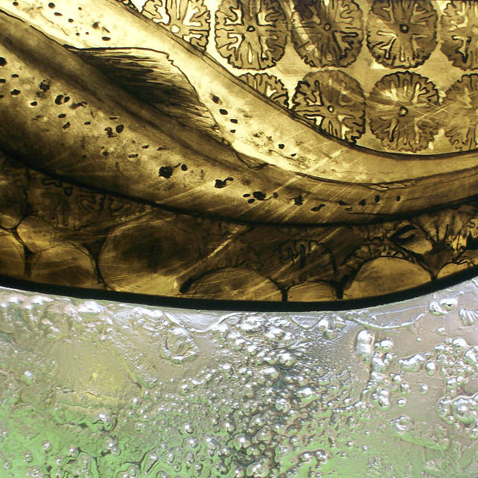 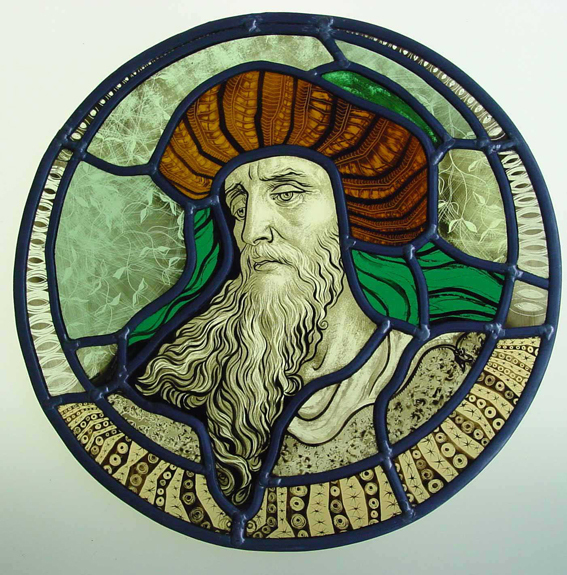 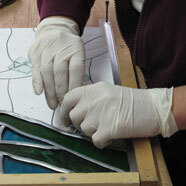 Click on the thumbnails below to view examples of my stained glass work. 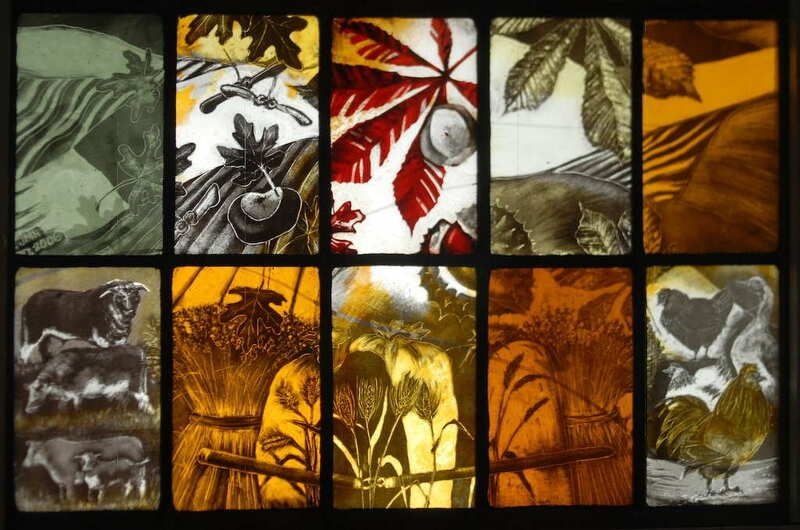 Malham window detail; artist residency 2009-2010 Part of the Malham Field Centre window; painted and moulded. 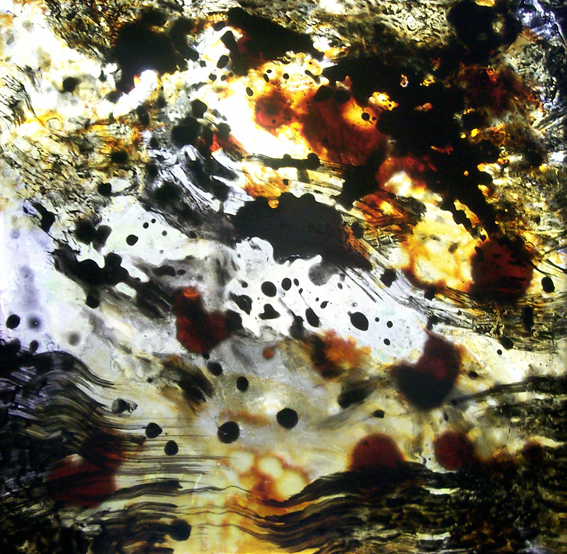 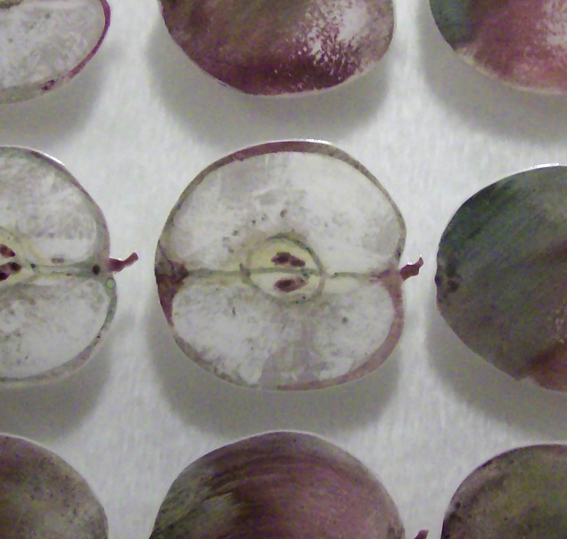 'Apples' 2010 Panel in private collection, approx 250mm x 250mm, various surface treatments. 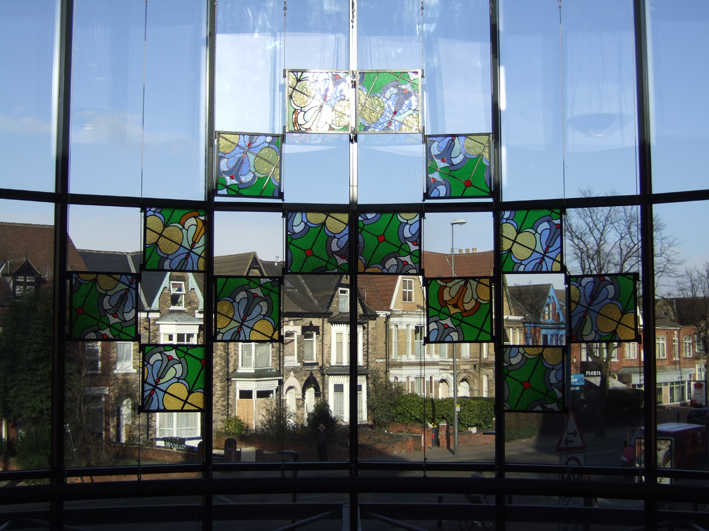 Health Centre Foyer Newington Health Centre, Hull (2006). 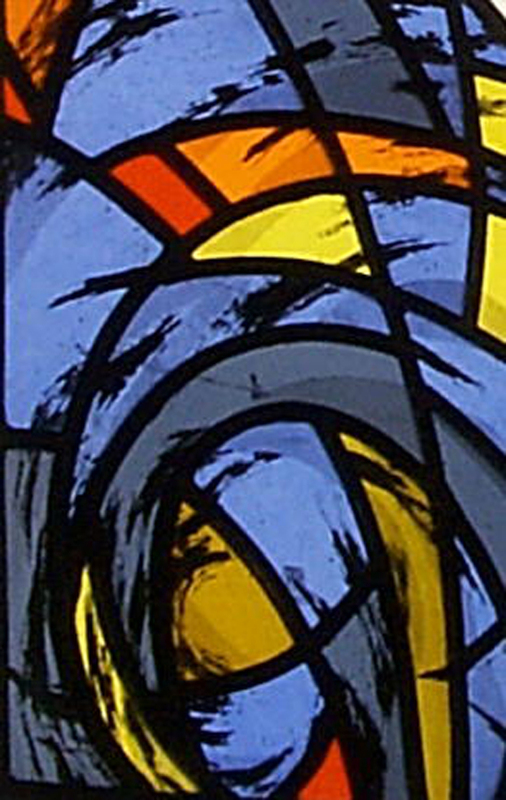 Panels based on windows of church previously occupying the site. 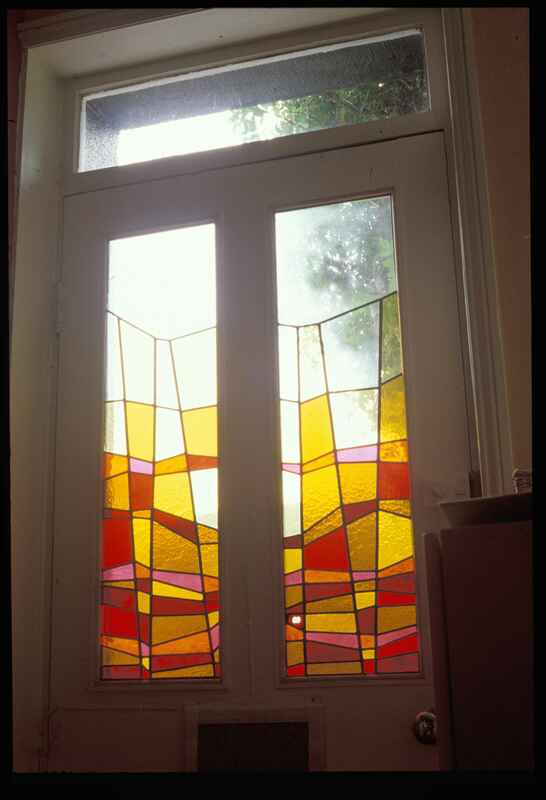 Cradley, Herefordshire (1 of a series) Part of a Public Art Residency 2004. 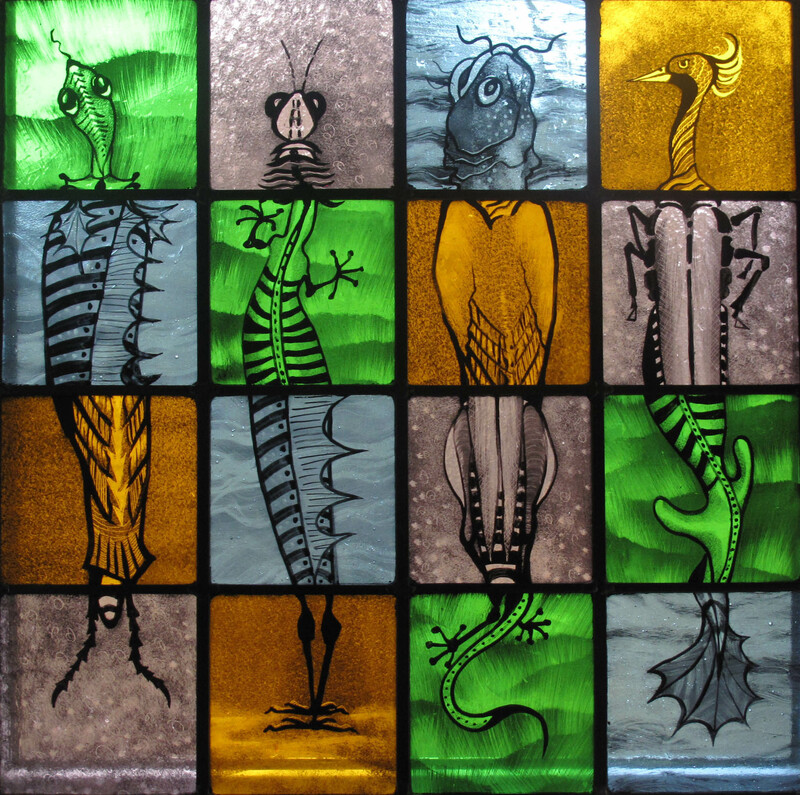 Series of village windows (detail shown).